Sign up for Broadjam today to follow Karen Sokolof Javitch, and be notified when they upload new stuff or update their news! Welcome to the World, Octuplets! A conglomeration of different types of songs - show tunes, ballads, country, pop, easy listening. All singers are from Westside High School!!!!!!!!!! 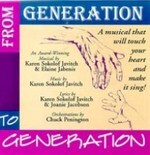 A fun musical about love between young people during the 1950's! Most of the songs are energetic and a lot of fun and you can't stop humming them! A wide variety of songs sung by 18 Nebraska celebrities, including Conor Oberst, actor John Beasley, Heisman trophy winner Eric Crouch, U.S.Senator Ben Nelson, Broadway star Joanna Young and many more. All proceeds from the sale of this album are donated to visually impaired children throughout Nebraska. This can be a song between two girls, two women, two older women - it's about being close friends with someone - that special bond that lasts forever. I wrote this song while thinking ot my best friend. If I changed one line, it could be a song for a husband and wife. Always together, the best of friends. For you always will be right beside me. For you are such a strong part of me. More than a lifetime, yes, we are friends. Who helps me along to sing me my song. That our friendship will last through this lifetime and past. I researched the 50's in order to write this song. It seemed like a fun time, so I wanted the song to be fun, also. It has a fun tempo and the rap part adds to its' jovialness. There are pretty parts also - when he longs to be back in that time.We have performed this song in Omaha a number of times, and the lead singer is usually dressed as Elvis. We seemed to have it all. Old Ike was president with Nixon on his team. When did I look the other way? Why canÂ?t I bring back yesterday? When did I leave? I donÂ?t know when. Why canÂ?t I travel back again? Liz Taylor had the prettiest eyes. 'Say hey,' those were the good ole days! We watched Howdy Doody and Clarabelle. the coolest shows on our black and white tv! We loved Lucy and laughed aloud! Being American made us proud! Buddy was a Holly, Pat was a Boone. Little Richard Tuttie Fruitied those tunes! Ed SullivanÂ?s really big Shewww! Elvis rock Â?n rollinÂ? the hound dog blues! Bridget Bardot - Holy Cow! "In the kisser, Alice" Â? POW! When did I leave? I donÂ?t know when? Where did it go? Where did it go? When did I let it slip a-way? It was so simple then - so simple then. It was simple then, etc. It was so simple then. I wanted to write a song from a young child's perspective - before they lost the innocence of how they look at things. I have three children and their innocence and beauty continually amazes me. This song is dedicated to them, and why does that perspective have to be gone after they grow up? Black or white just makes us colorful - from a child's eyes. There is no such thing as too much fun - from a child's eyes. We should look at life from a child's eyes. It's all sprinkled with red cinnamon - from a child's eyes. Why can't we look at life from a child'e eyes ? Even though this person is "older," he has some life left to live. This was written for my father, a strong and accomplished man in his late 70's, who has given a lot to this world, but still has a lot left to give. Has it been so long - I can't recall whatever happened to summer or fall - I know I've done most of it all - but I still have time. Making a difference in peoples' lives - I've done most of it all. I've done most ot it all. We all know those small towns in the midwest, where life was simple - it was all family and friends. He wants to go back to the town where he grew up in. Lives in my heart and my soul. "Was life really so simple and so sweet?" But most of all can't wait to feel my Mama's lovin' arms. Is the place where the love never ends. this song was written as a tribute to the heroes of 9-11. Songwriting was the only way I could express myself after this tragic day, and His Name was Freedom is a result of my feelings. But maybe he was found. And I knew he was fighting for me and you. He was hurt, but he couldn't be broken. He would never give in! And I knew he'd be with us to defend. Seeing hope, through the dust and darkened skies. "We're so lucky to live in the U.S.A! The U.S.A!" Through my tears, my heart was filled with endless pride! 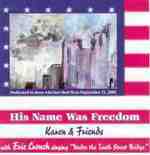 His name was, "Freedom" in America, Freedom! And he'll live on and on! This is what a young person needs in order to do whatever it is they want to do. Determination and perseverance, along with talent. 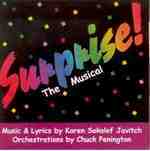 I'M GONNA FLY was written for my musical, SURPRISE! It was written for a teenage girl who would do anything to become an actress. 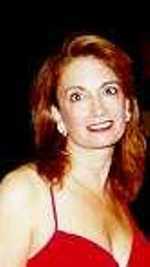 When I wrote it, I had a young Barbra Streisand in mind - that is the type of song that it is - a belt out type! I used to grab a prop - anything - and I would come alive! I'm gonna - I'm gonna fly - to the top of the world! And if you say that I won't - I will! And if you say that I can't - I can! And if you say that I won't win that race, I'll start over again! Just watch me reach my hands way past the sky. This song is about a person who feels very close to the music that he loves. Most of the musicians mentioned are people close to the songwriter's heart. There are word plays, such as "Yesterday," the Beatles "Let it Be" as they made "Seargant Pepper" history. This was a fun song to write. This song had many evolutions and ended up being a tribute to many singers and songwriters. Didn't have much, but, hey, what did I know? I knew I'd always have my music. All I needed was my music. Oh, I'm so grateful for their music. "Yesterday" the Beatles "Let it Be,"
Changing the world with their music. The Beach Boys catch the surf in "Kokomo"
And we'll always love their music. John Denver gave us "Rocky Mountain High"
Selena, we won't ever say, "Good-bye"
Because we'll always have your music. My music - my music - my music - my music! There was a time when he was once in love and he is longing for that time again, wondering what happened to it. 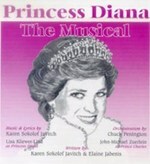 I first wrote it for my musical about Princess Diana. She is thinking about her love for Prince Charles. There was a time when all I wanted was to hold you and kiss you and never let you go. There was a time when all I wanted was to touch you and love you and feel you around me so. It seemed to take flight and grow. Please tell me what happened to that time? Was it in wintertime, that we became entwined? Or was it summertime, when I first knew you were mine? Had the colors of fall broken through when I first gazed at you? Or had spring begun when we were one? There was a time when all I needed was to see you, be with you and never leave your side. There was a time a time when all I needed was to love you, think of you and have you always be my bride. It seemed to take flight and grow! Please, tell me what happened? Tell me why did this happen? Tell me what happed to that time? A story about a young woman who has a boyfriend/spouse who is at war, but who is finally coming home. While thinking of the war in Iraq, I came up with the idea for this song. A young woman is ecstatic that her loved one is finally coming home! Worried sick about the unknown, searching for you. You're coming home, at last. Time for us to sing and dance. Now we have our second chance to build a life together. Making all the wrong things right and loving you forever. Lost in a world of unknown, but soon you'll be through. The world you've seen - what you carry within. I only know that I'm so very proud of you. And make this life our brand new start. I hope you know that - hope you know that - I love you. You're coming home at last. I wrote this song for a musical of mine, LOVE! AT THE CAFE! It takes place in the 1950's and is a song between Melvin and Candy. Melvin is definitely in love with Candy. Candy is not quite sure that she loves Melvin. It's an adorable number in the show. Melvin has always loved Candy. Whenever Candy has her doubts about something, she uses the phrase "for sure," so I built a song around this phrase. It's really cute in the show! For sure, with you'll have a special life, for sure. I know I'm saying what I feel inside of me - that I love you. For sure, our love it is no doubt, for sure, for sure. And so you love me, too? For sure! For sure!